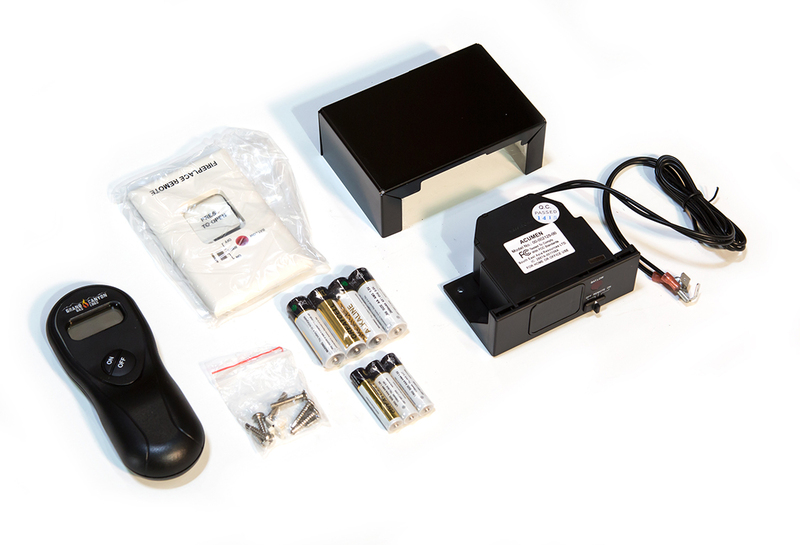 Grand Canyon Gas Logs Electronic Ignition System (EIS) Box is a 110 Volt direct wire ignition system. 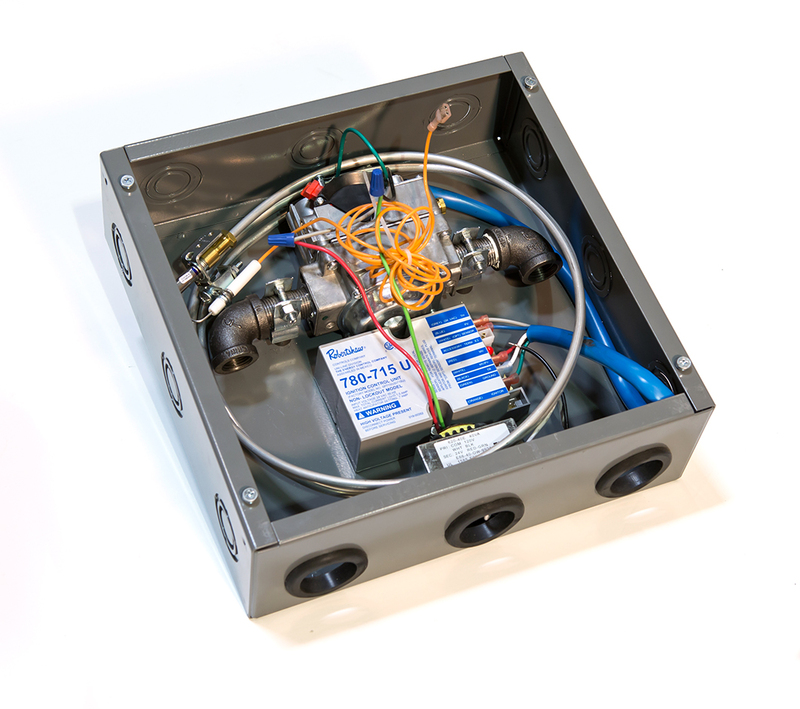 Our boxes need to be mounted within 3 feet of the firebox and ideal for new build or remodels. This system comes with a 6′ (foot) pilot assembly lead and a 200K BTU valve. A transformer and module are conveniently mounted inside our 4 x 4 x 12 metal box. Ideal for our Jumbo sets and other larger front view and see-through burner systems. This system operates by an optional Wall Switch (GCWS) or Remote (GCRK).